I may not be Peter Cottontail but spring has sprung and, hippity-hoppity, Easter is on its way! Before I start on making Easter baskets for all the little boys and girls (a.k.a. my children), I figured I'll set the mood by making a little Easter decor for my home first. So today I'll show you how I created this simple 3D Carrat Canvas. Farmhouse chic decor can get on the pricy side. Let me show you how you can recreate the look using scrapbooking supplies... Believe it or not, this carrot is made from FLOWERS & LEAVES!! And **Spoiler Alert** this used less than 2 whole sheet os scrapbook paper!! First, I gathered my supplies. I knew I wanted to make a canvas. something I could hang on my wall or place on a shelf or mantle. And I knew it absolutely had to have burlap. 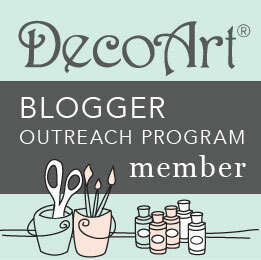 Burlap screams farmhouse and shabby chic! Then I threw in my love for all thing paper-crafty... bring on the paper stacks!! 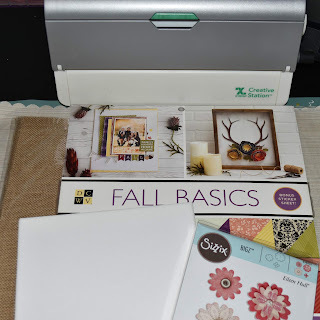 I found this Fall Basics stack from DCWV (yeah, yeah- I know Fall has long since past) but bear with me... this stack had tons of greens, yellows, purples, and oranges... the same colors we also find in Easter!! Score! These are PERFECT! Check your stash, you may have paper stacks that you can use for more than one occasion!! Once, I had everything in arm's reach I prepped my canvas. No priming here!! 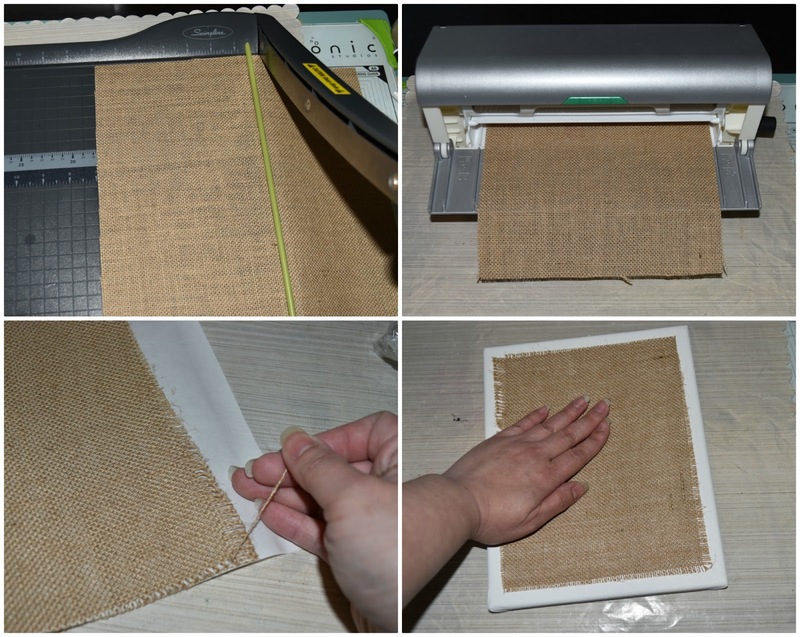 I did, however, cut a 7"x 9" piece of burlap and ran it through my Xyron Creative Station and applied it directly onto the center of my canvas! 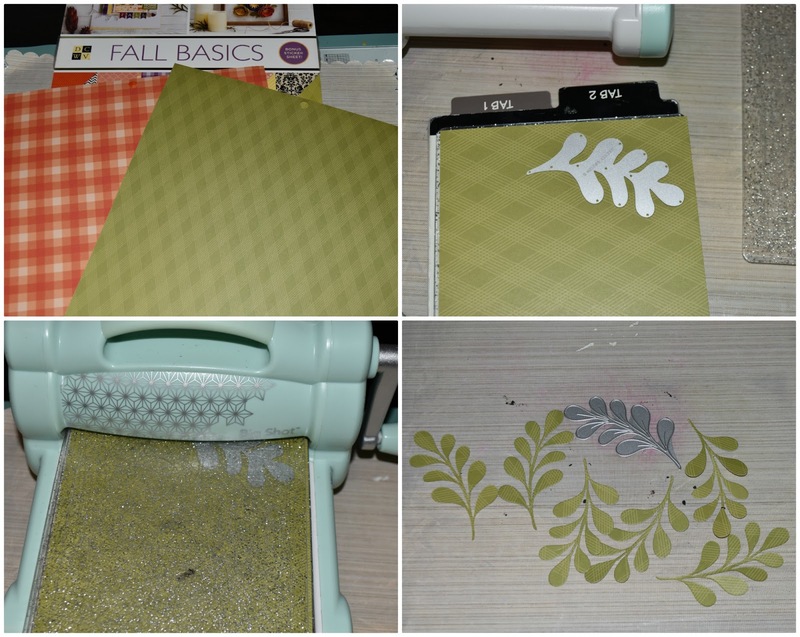 I love the different plaid papers that came in the Fall Basics stack. 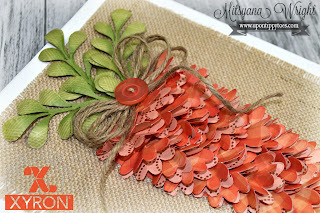 These 2 sheets were deep shades of orange and green that would be absolutely perfect against the burlap. I used Big Shot and this long stemmed leaf die from David Tutera's Greenery & Flourish set from Sizzix and die-cut 6 stem from the green patterned paper. For a more natural look and to add depth I shaded the stems and the inner parts of the leaves with ColorBox Dyestress ink in Moss using a sponge dauber. 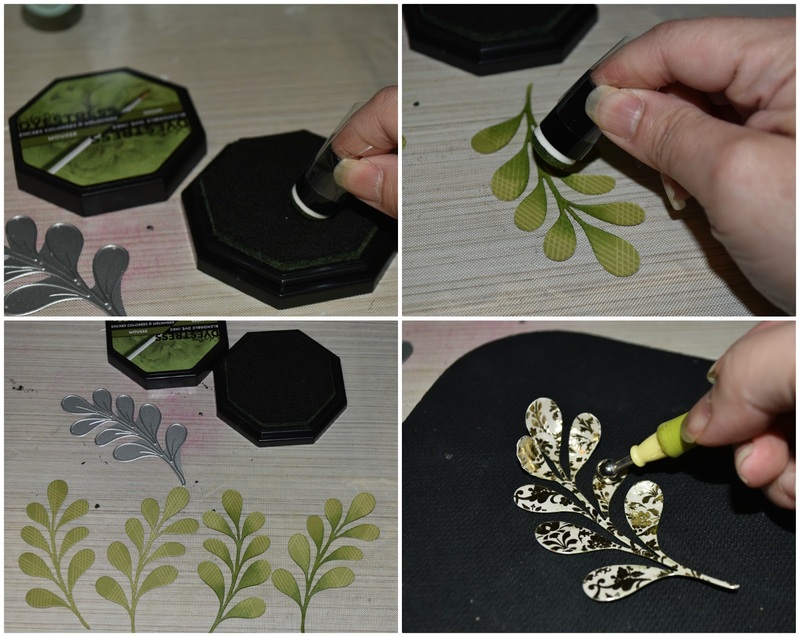 Then shaped the leaves using a ball stylus from the McGill Paper Blossoms Tool Kit. I free-hand cut out a carrot shape from orange cardstock. 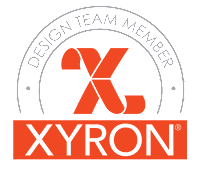 Then ran it through my Xyron Creative Station. This will give me a general shape of where to place my flowers. I attached it to my canvas and made sure to leave some room at the top for the stems. 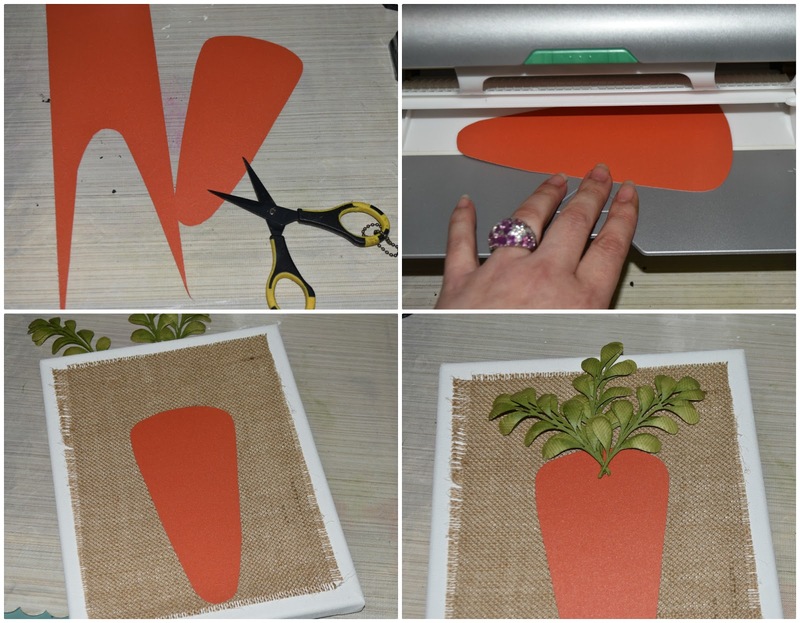 Then attached all 6 stems to create the carrot top. I used the medium sized flower on the Eileen Hull Flower Layers w/ Heart Petals die and cut out about 24 flowers from the orange plaid paper. Then shaded the edges using ColorBox Dyestress ink in Tomato and a sponge dauber. 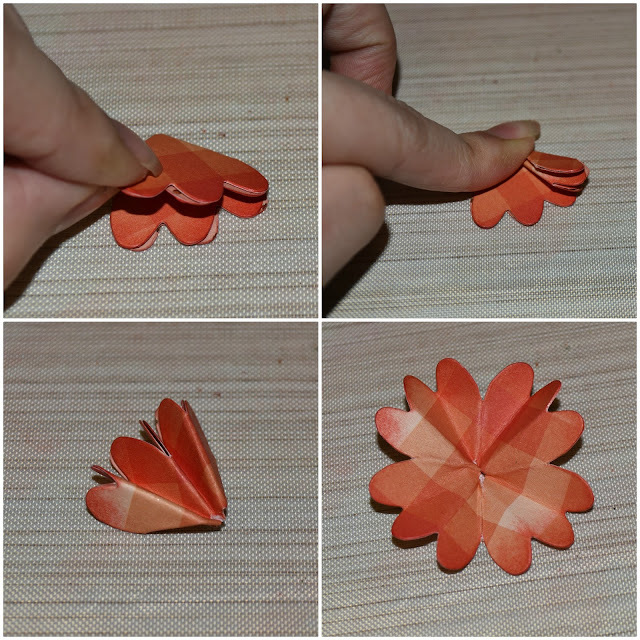 To add dimension to the flowers, I first folded the flower in half, and then half again. Then in each quartered section, I folded it into thirds. So when opened there's a crease line in between each little scalloped edge. I used my Mega Runner and applied adhesive to half of each flower, partially folded the flower and attached the flowers into my carrot cut-out. 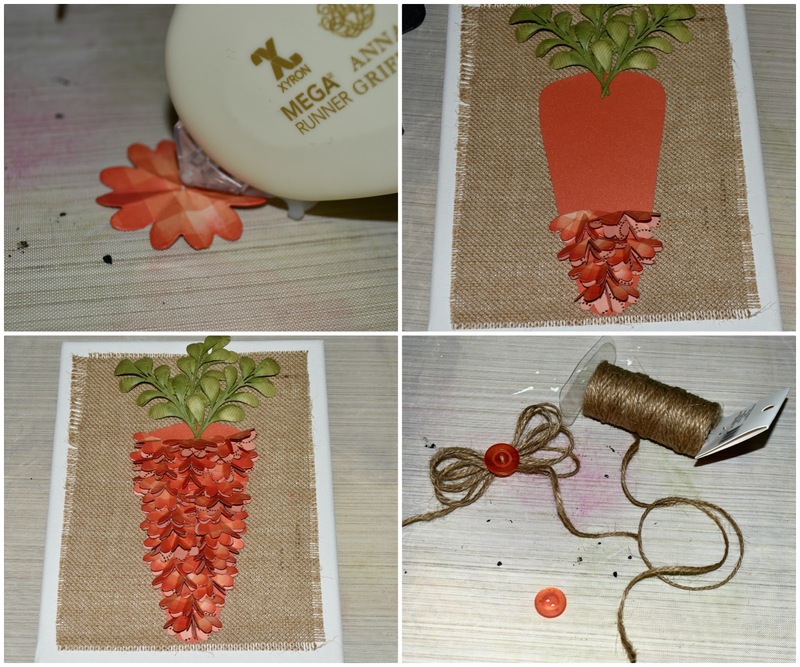 I continued to fill the carrot with flowers but left a small section open at top to attach a bow I made with jute twine and a button. And the dimension of those flowers really pops off the canvas! Picture does not do it justice! I hope you enjoyed today's tutorial and it inspires you to create Easter canvas art of your own! Wow, this is amazing! I love it! 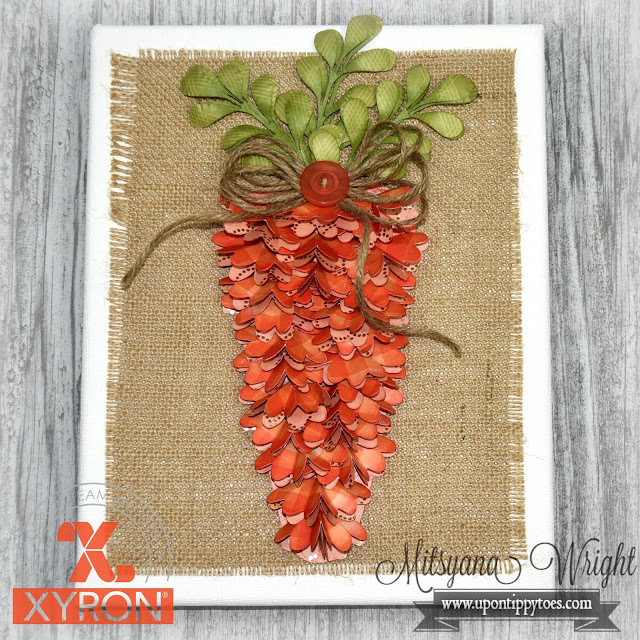 You rocked the carrot... Love your creativity using the dies! Pinned!!! Thanks, Anita!! I tried to think of a way to make the carrot fuller with more dimension... I'm so happy with the way it turned out!